This noncommittal definition, according to DEBKAfile’s sources in Washington, does not reveal that their mission is to recast Trump’s policy for Syria in a new mold after the breakdown of the understandings he reached with Russian President Vladimir Putin at their Helsinki summon on July 16. Instead of pulling American troops out of Syria, the White House switched in mid-August to the quest for a pro-active US role in determining the ultimate stages of the Syrian civil war. While this turnabout was not revealed by Israel’s mainstream media, Moscow reacted instantly by massing a Russian war fleet and special forces in the eastern Mediterranean and Syria, to guard against any further American surprises. Jeffrey and Rayburn have been tasked with giving the new Trump policy practical substance. Their first objective is to avert the Russian-Iranian-Syrian offensive against Idlib, the last Syrian rebel bastion. This goal goes to the core of the three allies’ most vital plans. It is seen as a last-ditch attempt to impose US will and interests on the Syrian warscape – not only by evicting Iran from the country, but by also unraveling Russia’s strategy. Both Tehran and Moscow view the Idlib offensive as a triumphant finale to their successful Syrian venture. Washington therefore rates its prevention worth the candle, even at the cost of a possible US or Israeli war operation. The arrival of key American advisers for dealing with Syria has tended in the past to be accompanied by escalated military tensions. This pattern emerged on April 29 when Mike Pompeo visited Israel as new Secretary of State, the while ground-to-ground missiles hit Iranian facilities near Hama and Aleppo. On Aug. 23, as soon as US National Security Adviser John Bolton flew out of Israel, unidentified aircraft bombed a pro-Iranian Iraqi militia Khaitib al-Hezballah convoy near Abu Kamal on the Syrian-Iraqi highway. 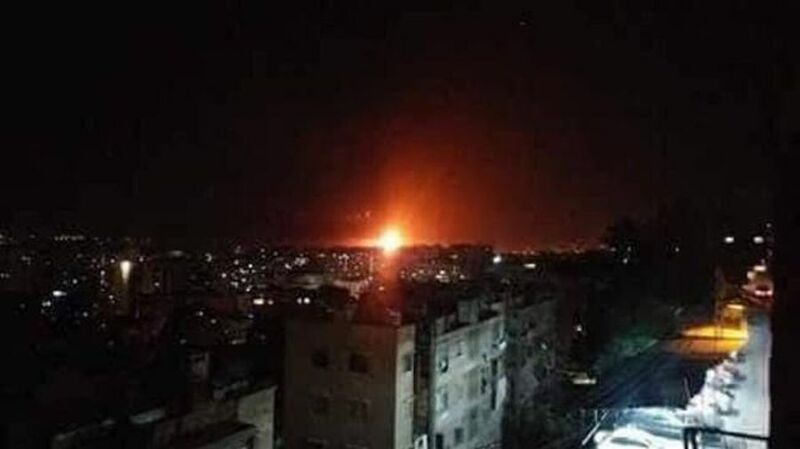 And on Saturday night, with Jeffrey and Rayburn on their way to Jerusalem, an explosion was reported at Damascus’ Mezzeh air base. Syria at first pretended the cause was an electricity short circuit, rather than admitting that its Russian-controlled air defense system had failed. Later Sunday, Syrian army sources confirmed the base had come under missile attack, in which two people were killed and 11 injured.